The rich and invigorating environment of Big Sky affords limitless opportunities for outdoor recreation. Whether our guests have spent their day skiing, hiking trails, fishing trout streams, or even dog-sledding, they arrive to Horn & Cantle with quite an appetite. For many of our guests, a love of adventure extends to their choice of cuisine. That’s why we created Horn and Cantle. Our goal is to provide a dining experience that weaves together crafted food and drink, warm and engaging service, and an intimate social atmosphere that’s perfectly suited for a couple’s getaway or lively family gathering. 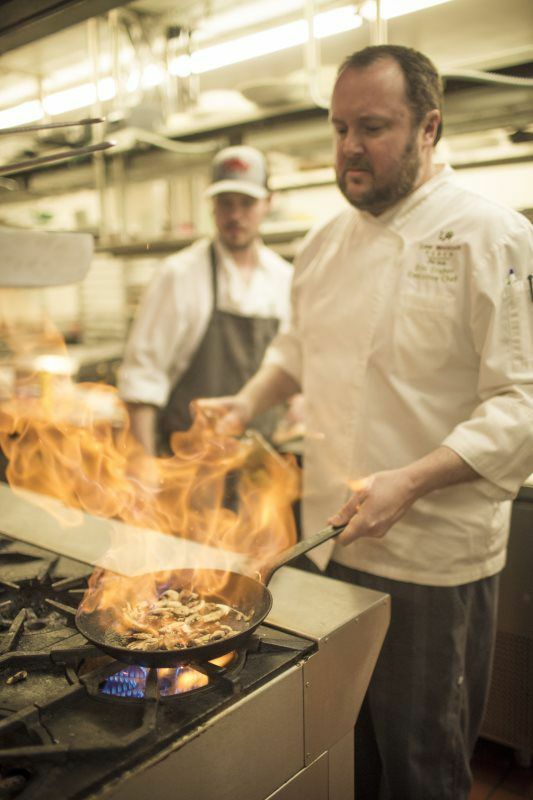 Our menu is designed to awaken the tastebuds and satisfy hunger by delivering an authentic Montana culinary experience with a unique perspective. We have brought together a variety of cultures and fresh flavors inspired by local purveyors, seasonal ingredients, and classic preparations to serve you the absolute best of the old west.